Redaktion: Leal, David L.; Trejo, Stephen J. At 15.4 percent of the population, Latinos are the largest minority group in the United States. They are a growing presence in all sectors of the economy, play an increasingly important role in government and politics, and are influential across a wide range of cultural domains. Despite the growing attention paid to Latinos in recent years, this population is characterized by relatively low socio-economic status, and Latinos frequently rank behind the majority white population and other minority groups when it comes to education, finances, and employment. This book contributes to the understanding of these issues by addressing a comprehensive range of topics on Latino economic incorporation, outcomes, and impact over an individual's lifetime. The volume starts with the foundational issue of education, and then moves to immigrant integration and adjustment, Latino and immigrant earnings, the economic impact of Latinos, and inter-generational incorporation and long-term integration issues. The contributions provide wide-ranging perspectives on the key factors that determine whether Latinos will be able to achieve their economic potential. 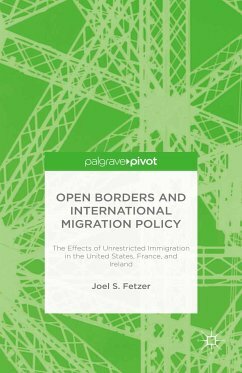 The substantial individual, national, and international implications of these studies make this book of interest to scholars and policy-makers alike, particularly those concerned with the issues of education, immigration, employment, and earnings. The rapid and continuing growth of the Hispanic population ensures that the debate over social policy in the next few decades will increasingly focus on how best to alleviate the economic and social problems facing this population and perhaps encourage rapid assimilation. The studies in the volume edited by David Leal and Stephen Trejo provide an excellent foundation for this discussion. The conceptual issues and findings in these papers are sure to be valuable to both policy makers and researchers. Latinos and the Economy provides a truly authoritative but accessible compilation of first-rate scholarship on Hispanic incorporation, educational and political gains, and ongoing economic and cultural impacts. It is "must reading" for anyone concerned about the future, especially as America moves inexorably towards becoming a majority-minority society by mid-century. This is the volume to read for anyone interested in current American immigration issues or the role of Hispanics in the U.S. economy." "The future of America is closely intertwined with the successful integration--economically, politically, and socially--of the Latino population. Latinos now comprise one of every seven workers and almost one of every five students in the United States. The research reported in this volume describes the challenges faced by Latinos in schools, the labor market, and in communities and explains their prospects for upward mobility. These studies suggest that a significant investment in expanding educational opportunities may be the single most important policy lever to incorporate Latinos into the American mainstream." Latinos and the U.S. Economy. The Hispanic Diaspora and the Public Schools: Educating Hispanics. System of Elections, Latino Representation, and School Policy in Central California Schools. State Tuition at State Colleges and Universities. Hispanic and First Generation College Students: How do They Fare in Postecondary Education? The Effects of Legalization on Migrant Remittances. Naturalization and its Determinants Among Immigrants from Latin America: The Role of Dual Citizenship Rights. The LEP Earnings Penalty Among Hispanic Men in the US: 1980 to 2005. The Minimum Wage and Latino Workers. Latino Veterans and Income: Is There a Penalty for Military Service? Do Recent Latino Immigrants Compete for Jobs with Native Hispanics and Earlier Latino Immigrants? Immigrants, Hispanics, and the Evolution of Housing Prices in the US.